The Dorado Walnut sofa features a rich brown poly fabric with off-set light stitching. Available in traditional or power recline. End chairs recline with stationary middle seat. The Grandstand Walnut series by BeautyRest is the brown sister set of the Grandstand Flannel. This set works best with traditional earth tones with a trendy color twist. 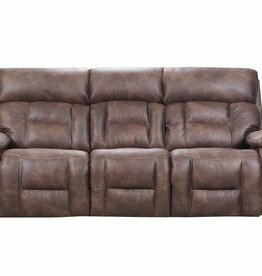 This sofa set features pocket-coil flippable seat cushions. 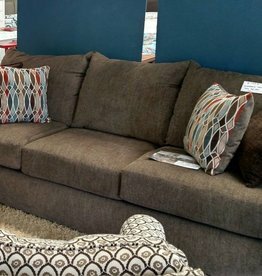 We make attractive furniture affordable every day!